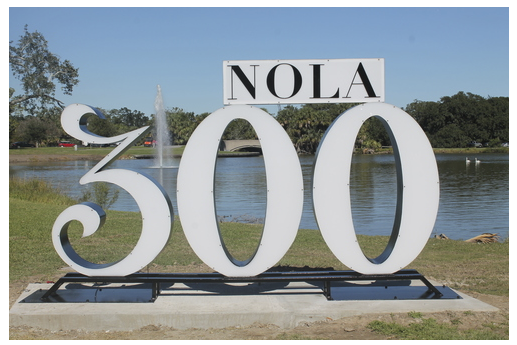 Starting in 2018, New Orleans will celebrate its Tricentennial anniversary. The two year celebration is an exceptional way to rediscover NOLA’s history and culture including its past successes and the resilience of the local community. The Big Easy has come a long way in the past 300 years. As a city that stands as a gateway to one of the most diverse and culturally influential cities in the world, the city is redeveloping its historic riverfront, adding a new airport, and creating a modern medical corridor that can promise service and innovation to the local NOLA community. To celebrate 300 years of rich history and diversity, Mayor Mitchell Landrieu created the 2018 NOLA Commission which will offer opportunities for community members to promote events and programs that celebrate the anniversary. Many special events, concerts, and fireworks will celebrate the city’s progress and the completion of new infrastructure projects in 2018. During each centennial milestone, New Orleans holds a tradition of proposing a large-scale legacy project. For the Tricentennial, Mayor Mitch Landrieu proposes a full scale restoration and preservation of NOLA’s historic Gallier Hall. Chairwoman Cheryl Landrieu and the Gallier Hall Preservation Committee aim to raise funds for its restoration. A significant structure build during the antebellum period, its Greek Revival architecture was created by James Gallier between 1845-1853. It was the site of New Orleans City Hall until 1956, just over a century. What better way to explore your city’s history than with a conference dedicated to the history, presentation, and conversation of NOLA’s past. Hosted on November 14 at the Orpheum Theater, the event offered insight into topics that have helped construct New Orleans’ historical identity. With presentations that focus on history’s impact, conversations helped dissect future plans and hopes for New Orleans’ success in the future. The Historic New Orleans Collection partners with the City of New Orleans 2018 Commission’s Cultural and Historical Committee for this one-of-a-kind presentation. Held on March 8 – March 11, 2018, the event showcases lectures and cultural programming that provides a gateway into the diverse, 300-year history of New Orleans history and how the idea of home has played a central role in the culture of the city. Several different event including individual lectures and panel discussions will be held throughout the city. On March 10th, New Orleans will celebrate with the Up From the Streets concert at the Saenger Theater. A handful of New Orleans musicians and even international artists will tell the story of the city’s influential power on the world. As the cradle of jazz, the concert will highlight the prestigious stylings and history of the genre along with the influence of Zydeco, Cajun, and folk traditions. It’s a great way to explore the sounds that were influenced by NOLA’s diverse history and cultural traditions. During International Weekend from April 20-22, a ceremony will welcome international dignitaries with a welcome dinner at Gallier Hall. Dignitaries are expected to take a tour of the city’s events while they act as international liaisons for cultural peace and diversity. The event helps to represent NOLA’s own global history, but also ways to work with global communities on a larger scale that positively impacts both communities. More information will be provided as the event draws closer. We’ll have more coverage of these events as they occur in the city. We’re eagerly anticipating these events as a way to demonstrate the prowess, strength, and beauty of New Orleans, its people, and our history. It’s an exciting time for NOLA and our future!